It takes a team—from designers to developers, writers to project managers, and many more—to create a truly powerful digital product. That’s why InVision is focused on creating a seamless, connected workflow that supports your whole team, from kickoff and ideation to coding and launch. 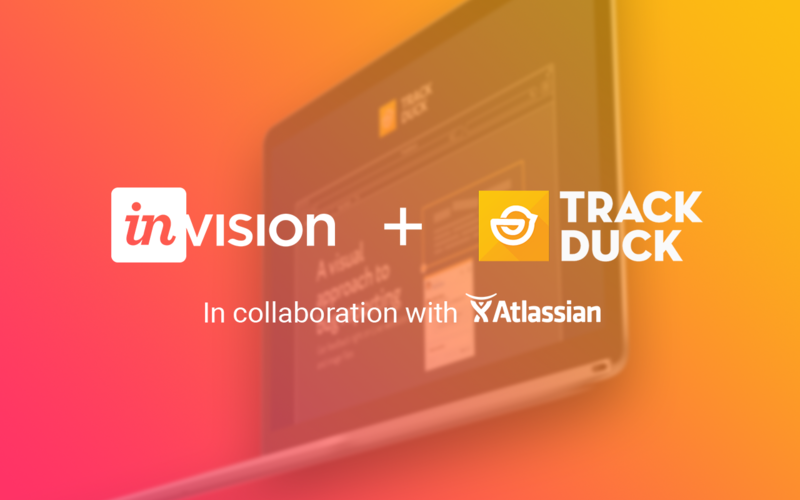 To support the creation of that seamless, collaborative workflow, we’re excited to welcome the TrackDuck team to the InVision family, and strengthen our collaboration with Atlassian by bolstering the union between design and development. TrackDuck, an incredible visual feedback and issue tracking tool, lets users manage issues through powerful integrations with Atlassian’s own JIRA, Trello, and HipChat. By bringing TrackDuck into the InVision fold, we’re forging deeper connections between InVision and Atlassian, 2 platforms essential to countless design and development teams. Paired with tools like Inspect, we’re excited to continue strengthening the design-to-development connection and empower teams to build better products, faster. TrackDuck users will experience no immediate changes to their service, and will continue to enjoy the features, integrations, and support TrackDuck is known for. We’re also thrilled to help InVision users improve their workflow and collaboration across teams by deepening our JIRA integration. Today at Atlassian Summit in Barcelona, we announced our integration with JIRA Software Server, the self-hosted version of JIRA. Now, any team using JIRA software, whether self-hosted or in the cloud, can take advantage of the InVision integration in the Atlassian Marketplace. Creating a better, more seamless workflow for InVision teams and users is a driving force behind the work our team does every day, and we couldn’t be more excited to take some major steps in the pursuit of that goal. Join us in welcoming TrackDuck to InVision! VP of Partnerships at InVision. Passionate about design tooling, workflow optimization, and enrichment of the design community.